by Biederman, Donald E., Pierson, Edward P., Silfen, Martin E.
Comments: Small amount of writing/highlighting. Orders ship the same or next business day. All orders ship with a tracking number. 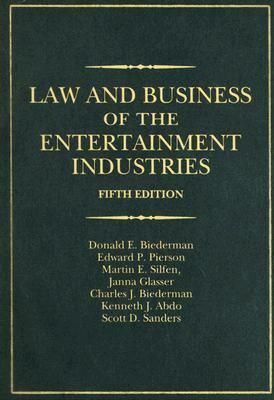 Biederman, Donald E., Pierson, Edward P., Silfen, Martin E.
DONALD E. BIEDERMAN was Executive Vice President/Legal & Business Affairs and General Counsel, Warner/Chappell Music, Inc., Los Angeles and Professor of Law and Director, National Institute of Entertainment & Media Law, at Southwestern University School of Law, Los Angeles, CA (now the Donald E. Biederman Entertainment & Media Law Institute).Biederman, Donald E. is the author of 'Law And Business of the Entertainment Industries ', published 2006 under ISBN 9780275992057 and ISBN 0275992055. Loading marketplace prices 130 copies from $32.62 How does the rental process work?